FINAL THREE DAYS to get an SJC WINTER SUIT ! | SJC Forum FINAL THREE DAYS to get an SJC WINTER SUIT ! FINAL THREE DAYS to get an SJC WINTER SUIT ! FINAL THREE DAYS to get an SJC WINTER SUIT! 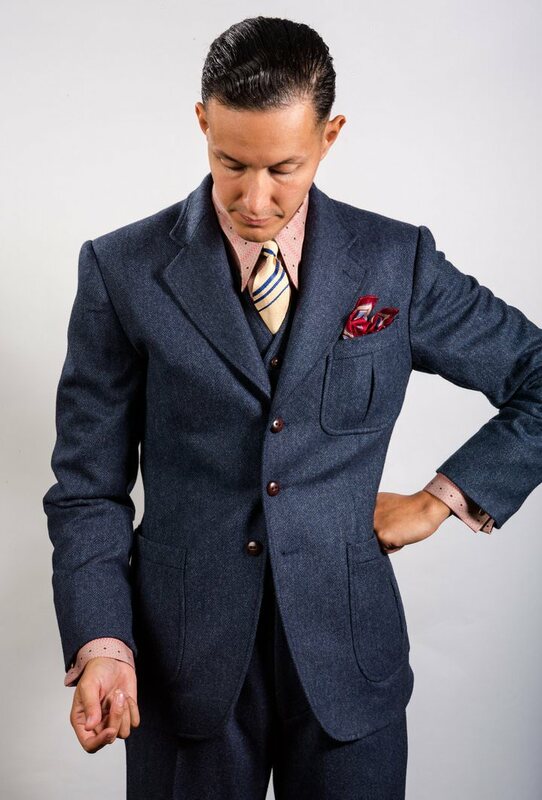 You thought you’d lost the opportunity to get an SJC winter suit: jacket, waistcoat, and/or trousers? Good news: turns out there’s enough cloth remaining to make up to seven more WALNUT-colored (brown) suits, and two more BLUE suits. In ANY SIZE. With FREE SHIPPING. However, the window is closing fast. In three days, all of the cloth will have been milled, and the cutting will begin. Many of us have said that we particularly like the brown suit. If you hesitated and thought you lost the chance to get one, then now is the time to order yours. Send a message directly to Simon, stating your preferred jacket, waistcoat, and/or trouser size. Please do so as soon as possible: quantities and time are limited!